This is my favorite blush of all time. It gives a natural, radiant look and is easy to apply. I even use it on my eyelids for a no-makeup makeup effect. i recently purchased the lotus glow and i am so glad i did! it is a beautiful hot pink color that can be blended easily into the skin. feels so smooth and silky. amazing product! If I could give this product 10 stars, I would. Though the packaging is excessive, it is still a nice touch and reflects La Prairie's vision for its line. Do keep in mind the actual packaging is plasticky in nature though. 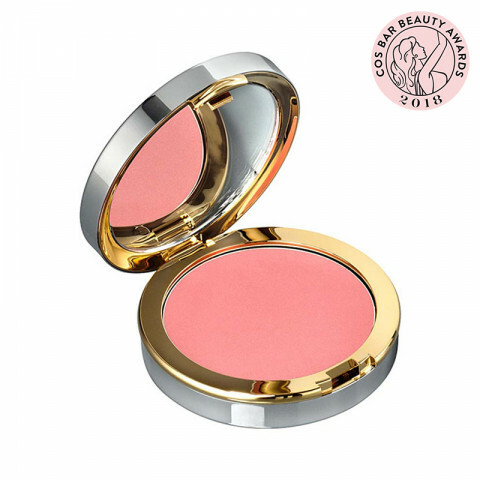 The blush itself blends like a dream and dries to a satin finish that does not budge throughout the day! I LOVE peach glow. This is the perfect summer color. It is my go to for an effortless summer look. Not only is the color great for tanned skin, it has a beautiful luminous finish.